The St James Theatre is once again home to a Jason Robert Brown musical – first, a revival of Songs of a New World in 2015 and now, The Last Five Years which returns to the London stage with the composer at the helm of the production as the director. 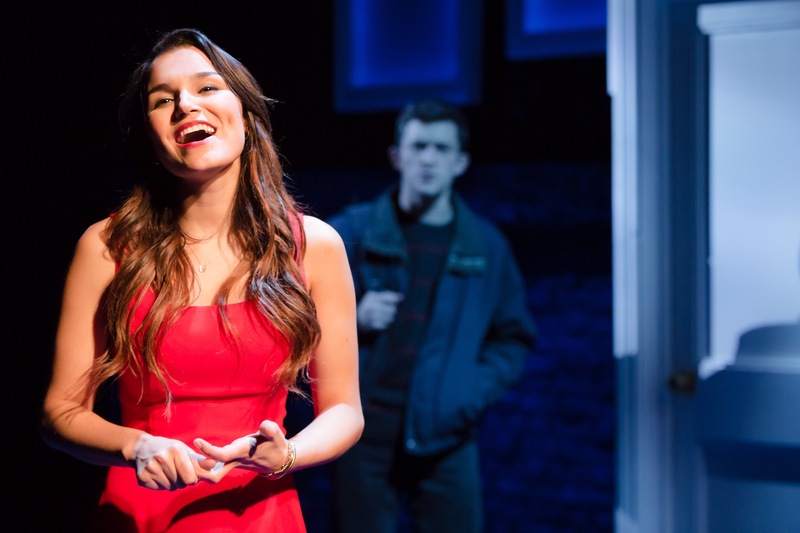 This two-hander, chamber musical starring Samantha Barks as Cathy and Jonathan Bailey as Jamie, follows a relationship over five years of a 20-something couple. The audience experiences the relationship in different times and from each of the characters’ perspective simultaneously. With Cathy’s storyline starting at the end of the marriage and rewinding to the beginning while Jamie starts on the evening of the first date and ends seconds before we meet Cathy at the top of the show. Making Cathy’s final song ‘Goodbye Until Tomorrow’ even more heartbreaking. The performers never share a scene except briefly in the middle, on their wedding day. Both Bark and Bailey are incredibly strong leading actors. Out of the two, Bark clearly is more of a vocal powerhouse, stealing the show with her rendition of ‘I Can Do Better Than That’ and having the audience in stitches with the series of disastrous auditions. Bailey gives off that confidence, charm and boyish energy throughout the show. Making it very clear that Jamie was not mature or ready to be tied down to a wife at home in his 20s while he was experiencing literary success. Brown simplifies the set and orchestration to perfection. At times though, the transitions of the moving sets were clunky and distracting but easily forgiven and forgotten.